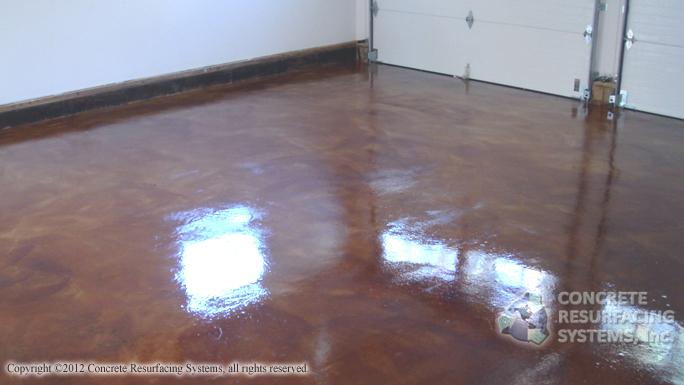 Concrete stain or “acid staining” will change your dull, dusty, concrete slab into a beautiful, solid, durable floor that has the Old World warmth and charm of marble or ancient stonework. 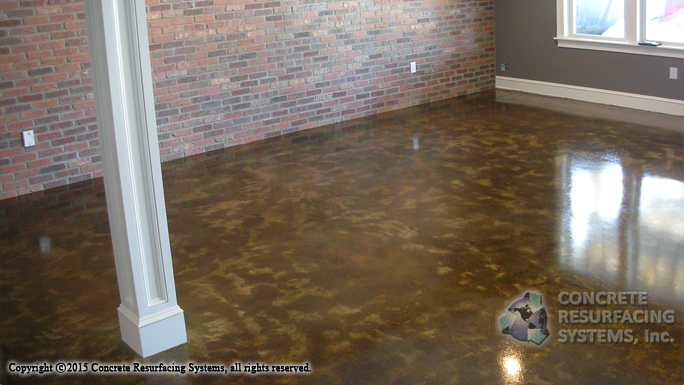 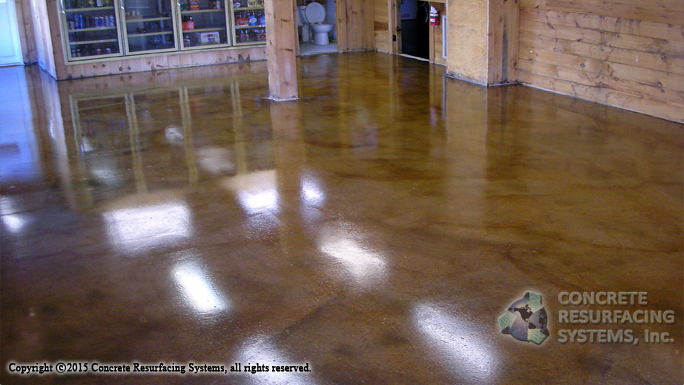 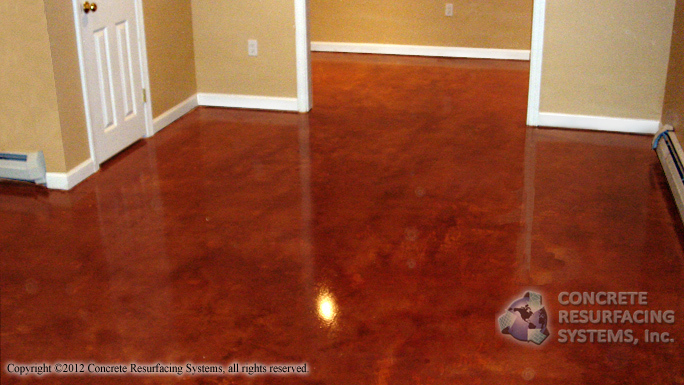 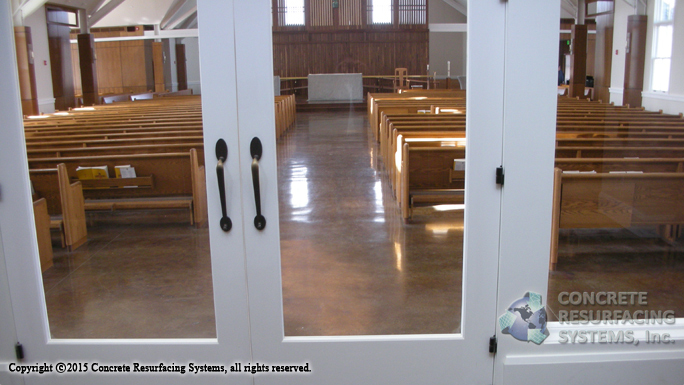 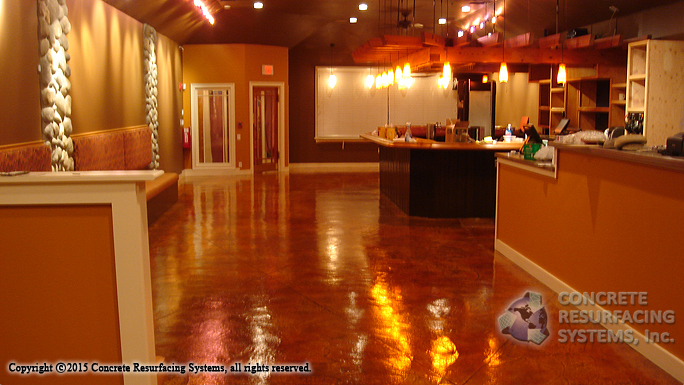 Concrete Resurfacing Systems, Inc. can create an acid stained floor in your home or business. 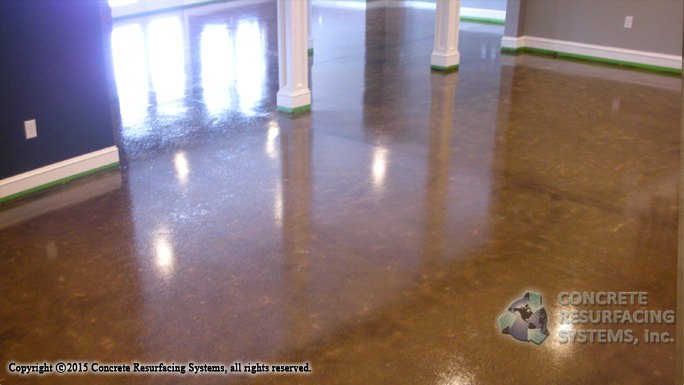 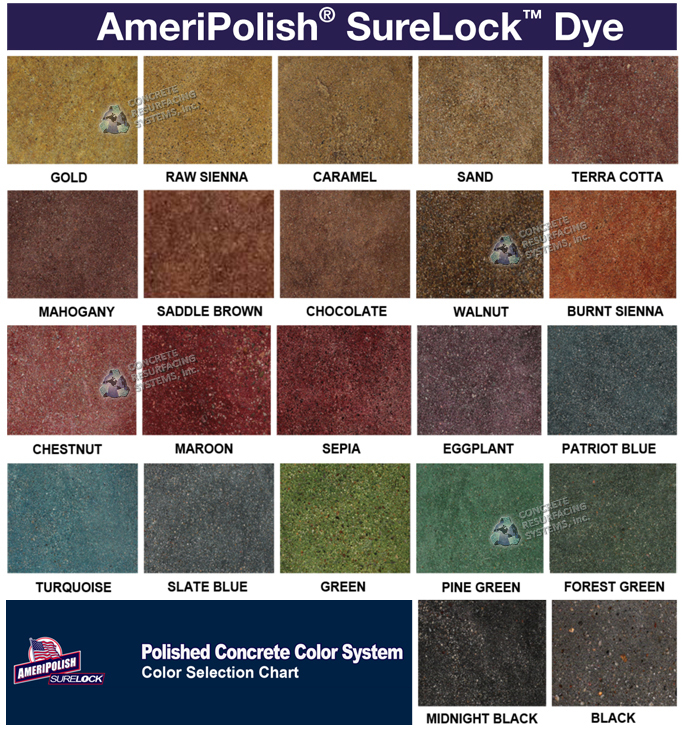 From basements and garages to pool decks and patios — to commercial flooring for retail stores and auto showrooms — anywhere you need a floor that will stand up to foot and vehicle traffic — a stained and sealed concrete floor is an economical, easy to maintain choice.